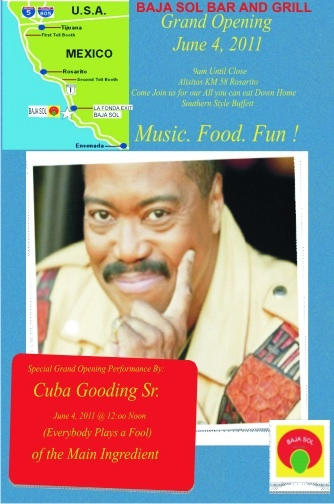 The only authentic Carribean and down home southern Cuisine in Baja. Join them for an ALL-YOU-CAN-EAT down home southern buffet. 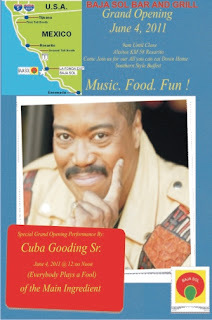 Music, Food, Fun. You can go to mybajasol.com for info and menu selection. Tobacco will kill nearly 6 million people this year, including 600,000 non-smokers, because governments are not doing enough to persuade people to quit or protect others from second-hand smoke, the World Health Organization (WHO) said on Tuesday. In Mexico, between 13 and 14 million people smoke. Every year, 60,000 Mexicans die due to tobacco-related diseases. On average, young people, particularly women, begin smoking at the age of 12, Rafael Camacho Solís, the founder of the Alliance against Tobacco organization, said. The WHO considers smoking as an epidemic because between 40 and 50 percent of deaths due to cardiovascular diseases and 90 percent of lung cancer cases are caused by smoking. In 1987, the World Health Assembly established May 31 as World No Tobacco Day with the purpose of dissuading users from continuing smoking. Tobacco kills up to half its users and is described by the WHO as “one of the biggest public health threats the world has ever faced”. It causes lung cancer, which is often fatal, and other chronic respiratory diseases. It is also a major risk factor for cardiovascular diseases, the world’s number one killers. The WHO said smoking is one of the biggest contributors to a worldwide epidemic of non-communicable, or chronic, diseases such as heart attack, stroke, cancer and emphysema, which account for 63 percent of all deaths worldwide, nearly 80 percent of which occur in poorer countries. Jesús Felipe González, the vicepresident of the No Tobacco Mexican Network, said that Mexico’s control over the consumption of tobacco is a pending matter but it has only carried out half of its obligations as one of the countries that signed the WHO’s Framework Convention on Tobacco Control (FCTC). The FCTC came into force in 2005 and obliges the countries that signed it to take steps over time to cut smoking rates, limit exposure to second-hand smoke, and curb tobacco advertising and promotion. Mexico has been unable to guarantee protection to the non-smoking community and has not implemented concrete actions that will impede minors from buying cigarrettes, González said. Camacho urged the federal and state governments to abide by the Law to Protect Non-Smokers and proposed considering cigarette sales to minors as corruption of minors. He also endorsed the proposal to raise by 20 percent the Special Tax on Production and Services (IEPS) on cigarette sales. Establishments wanting to sell cigarrettes should have a license to do so, as with alcohol sales, he continued, because cigarrettes are sold to minors without restriction. Civil organizations have put together a series of recommendations that will help Mexico fulfill all its obligations to the FCTC. 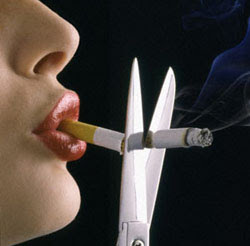 Some of the recommendations are: to encourage Congress to enact regulations to organize, structure and finance national programs on tobacco control, surveillance and prevention; to push for increases in the price of tobacco-related products; and to enlarge warning images on cigarette packs regarding the health consequences of tobacco use. They have also requested the National Addiction Council (Conadic) to redefine the Internal Rules of the Health Secretariat so it includes prevention and control actions among its responsibilities. Specialist have said that the surge of the so-called “pirate cigarettes” is likely to increase the cost of treatments for tobacco-related diseases because it is unclear what chemicals make up the cigarettes and whether they are even more detrimental to people’s health. Arnulfo Albores Medina, a researcher of the Research and Advance Studies Center of the National Polytechnic Institute, said smoke from commercial cigarettes contained 4,000 chemicals, of which 160 are toxic and 60 percent are proven to cause cancer. Smokers and passive smokers are at risk of developing diseases because the smoke is what damages people’s health. Quitting smoking will not reverse the negative effects of tobacco but it will stop diseases from developing, Albores said. Although the government has increased taxes on cigarettes, the money collected is not sufficient to cover the expense of treating people suffering from tobacco-related diseases. On July 1, 2009, the General Law on Tobacco Control came into effect in Mexico. It prohibits people from smoking in enclosed public spaces, such as public buildings, restaurants, bars and clubs. Smoking areas must be outdoors or isolated. Minors are not allowed to be in smoking areas and pregnant women are advised against remaining in these areas. Mexico is in a unique position to reap many of the benefits of the decline of the US economy. In order to not violate NAFTA and other agreements the U.S.A. cannot use direct protectionism, so it is content to allow the media to play this protectionist role. The U.S. media - over the last year - has portrayed Mexico as being on the brink of economic collapse and civil war. The Mexican people are either beheaded, kidnapped, poor, corrupt, or narco-traffickers. The American news media was particularly aggressive in the weeks leading up to spring break. The main reason for this is money. During that two-week period, over 120,000 young American citizens poured into Mexico and left behind hundreds of millions of dollars. Let's look at the reality of the massive drug and corruption problem, kidnappings, murders and money. The U.S. Secretary of State Clinton was clear in her honest assessment of the problem. "Our insatiable demand for illegal drugs fuels the drug trade. Our inability to prevent the weapons from being illegally smuggled across the border to arm these criminals causes the deaths of police officers, soldiers and civilians," Clinton said. The other large illegal business that is smuggled into the U.S.A. that no one likes to talk about is Human Traffic for prostitution. This "business" is globally now competing with drugs in terms of profits. It is critical to understand, however that the horrific violence in Mexico is over 95% confined to the three transshipping cities for these two businesses, Juarez, Tijuana and Nogales. The Mexican government is so serious about fighting this, that they have committed over 30,000 soldiers to these borders towns. There was a thoughtful article written by a professor at the University of Juarez. He was reminded of the Prohibition years in the U.S.A. and compared Juarez to Chicago when Al Capone was conducting his reign of terror capped off with The Saint Valentine's Day Massacre. During these years, just like Juarez today, 99% of the citizens went about their daily lives and attended classes, went to the movies, restaurants, and parks. Is there corruption in Mexico? YES !!! Is there an equal amount of corruption related to this business in the U.S.A.? YES !!!. When you have a pair of illegal businesses that generate over $300,000,000,000 in sales you will find massive corruption. Make no mistake about the Mexican Drug Cartel; these "businessmen" are 100 times more sophisticated than the bumbling bootleggers during Prohibition. They form profitable alliances all over the U.S.A. They do cost benefit analysis of their business much better than the US automobile industry. They have found over the years that the cost of bribing U.S. and Mexican Border Guards and the transportation costs of moving marijuana from Sinaloa to California have cut significantly into profits. That is why over the past 5-7 years they have been growing marijuana in State and Federal Parks and BLM land all across America. From a business standpoint, this is a tremendous cost savings on several levels. Let's look at California as an example as one of the largest consumers. When you have $14.2 billion of Marijuana grown and consumed in one state, there is savings on transportation, less loss of product due to confiscation and an overall reduction cost of bribery with law enforcement and parks service people. Another great savings is the benefit to their employees. The penalties in Mexico for growing range from 5-15 years. The penalties in California, on average are 18 months, and out in 8 months. The same economic principles are now being applied to the methamphetamine factories. FOX News continues to scare people with its focus on kidnapping. There are kidnappings in Mexico. The concentration of kidnappings has been in Mexico City, among the very rich and the three aforementioned border Cities. With the exception of Mexico City, the number one city for kidnappings among NAFTA countries is Phoenix, Arizona with over 359 in 2008. The Phoenix Police estimate that twice that number of kidnappings goes unreported, because like Mexico 99% of these crimes were directly related to drug and human traffic. Phoenix, unfortunately, is geographically profitable transshipping location. Mexicans, just like 99% of U.S. Citizens during prohibition, go about their daily lives all over the country. 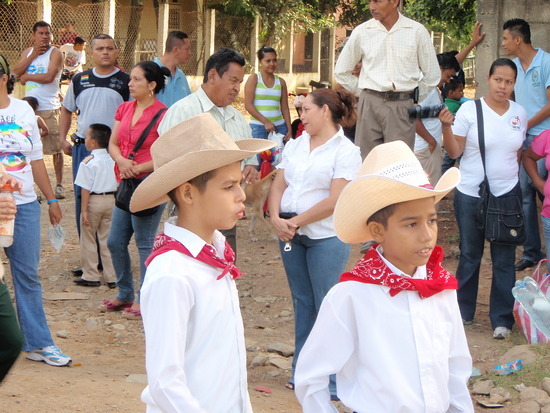 They get up, go to school or work and live their lives untouched by the border town violence. These same protectionist news sources have misled the public as to the real danger from the swine flu in Mexico and temporary devastated the tourism business. As of May 27 2009 there have been 87 deaths in Mexico from the swine flu. During those same five months there have been 36 murdered school children in Chicago. By their logic, if 87 deaths from the swine flu in Mexico warrants canceling flights and cruise ships to Mexico, then close all roads and highways in the USA because of record 43,359 automobile related deaths in the USA in 2008. What is just getting underway is what many are calling the "Largest southern migration to Mexico of people and real estate assets since the Civil War" A significant percentage of the Baby Boomers have been doing the research and are making the life changing decision to move out of the U.S.A. 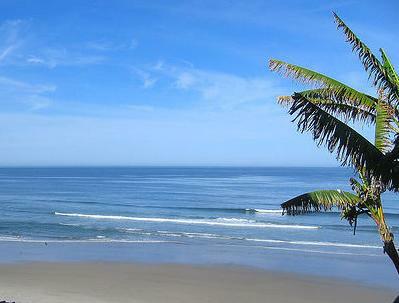 The number one retirement destination in the world is Mexico. There are already over 2,000,000 US and Canadian property owners in Mexico. The most conservative number of American and Canadian Baby Boomers who are on their way to owning property in Mexico for full or part time living in the next 15 years is over 6,000,000. Do the math on 6,000,000 people buying a $300,000 house or condo and you will understand why the U.S. Government is trying to tax this massive shift of money to Mexico through H.R. 3056. The U.S. government calls this "The Tax Collection Responsibility Act of 2007". Those who will have to pay it are calling this the EXIT TAX. Another large exodus from the U.S.A is high paying skilled jobs. The job shift in automobile sector, both car and parts manufacturing, is already known by most investors. In the last few months as John Deere and Caterpillar have been laying off thousands of workers in the U.S.A., and hiring equal numbers in Mexico. The most recent industry that is making the shift is the aerospace manufacturers. In the city of Zacatecas there is currently a $210 million aerospace facility being built. With the 11 U.S. companies moving there, it is estimated to provide over 200,000 new high paying jobs in the coming years. One of the main factors for the shift in job south to Mexico instead of China is realistic analysis of total production, labor and delivery costs. While the labor costs in China are 40% less on average, the overall transportation costs and inherent risks of a long distance supply chain, and quality control issues, gives Mexico a distinct financial advantage. Mexico has avoided completely the subprime problem that has devastated the U.S. banking industry. 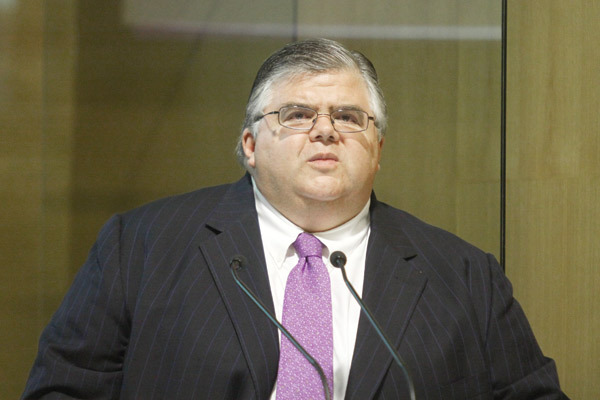 The Mexican banks are healthy and profitable. Mexico has a growing and very healthy middle and upper middle class. The very recent introduction of residential financing has Mexico in a unique position of having over 90% of current homeowners owning their house outright. U.S. banks are competing for the Mexican, Canadian and American cross border loan business. It is and will continue to be a very safe and very profitable business. These same banks that were loaning in a reckless manner have learned their lesson and are loaning here the old fashioned way. 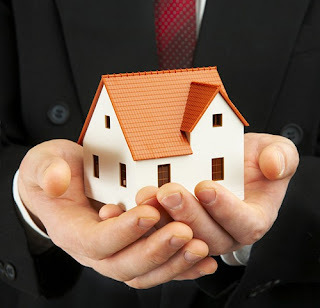 They require a minimum of a 680 credit score, 30% down payment, and verifiable income that can support the loan. In most areas of Mexico where Baby Boomers are moving to, with the exception of Puerto Penasco (which did not have a national and international base of buyers), there is no real estate bubble.. The higher end markets ($2-20 million) in many of these destinations are going through a modest correction. The Baby Boomers market here is between $200,000 and $600,000. With the continuing demand, that price point, in the coming years, will disappear. This is the reason the Mexican government is spending billions of dollars on more infrastructure. The other major area where America has become overpriced is in the field of health care. This massive shift of revenues is estimated to add 5-7% to Mexico's GDP. The name for this "business" is Medical Tourism. The two biggest competitors for Mexico were Thailand and India. Thailand and India's biggest drawback is geography. Also recent events, Thailand's inability to keep a government in place and the recent terrorist attack in Mumbai, have helped Mexico capture close to half of this growth industry. In Mexico today there are over 56 world class hospitals being built to keep up with this business. Mexico is currently sitting on a cash surplus and an almost balanced budget. Most Americans have never heard of Carlos Slim until he loaned the New York Times $250 million. After that it became clear to many investors around the world what Mexicans already knew: that Mexico had been able to avoid the worst of the U.S. economic devastation. Mexico's resilience is to be admired. When the U.S. Federal Reserve granted a $30 billion loan to each of Mexico, Singapore, South Korea, and Brazil, Mexico reinvested the money in Treasury bonds in an account in New York City. According to oil traders, Mexico's Pemex wisely as the price of oil shot to $147 a barrel put in place an investment strategy that hinged on oil trading in the range of $38-$60 a barrel. Since the beginning of 2009 Mexico has been collecting revenues on hedged positions that give them $90-$110 per barrel today. Mexico's recent and under reported oil discovery in the Palaeo Channels of Chicontepec has placed it third in the world for oil reserves, right behind Canada and Saudi Arabia. The following is a quote from Rosalind Wilson, President of the Canadian Chamber of Commerce on March 19, 2009. "The strength of the Mexican economic system makes the country a favorite destination for Canadian investment". I would offer a word of caution for investors in Mexico. Do not be seduced by the endless natural beauty that is everywhere, both inland in colonial towns and along thousands of miles of beach. Apply conservative medium and long term investment strategies without emotion. The demand for full and part time living by American and Canadian Baby Boomers is evident throughout the country. The top two choice locations are ocean front, and ocean view. The third overall choice, which is less expensive, is inland in one of the many beautiful colonial towns or small cities. Mexico, with the world's 13th largest GDP, is no longer a "Third World Country", but rather a fast growing, economically secure state, as the most recent five-year history of its financial markets when compared to the U.S.A.'s financial markets suggests. ROSARITO BEACH---A prominent Hollywood producer at a May 8 media conference praised Baja as a beautiful and safe vacation spot and appealing film locale. Producer Steve Lee Jones said he had visited Baja frequently for many years but had stayed away recently because of reports of scattered drug violence in Mexico. 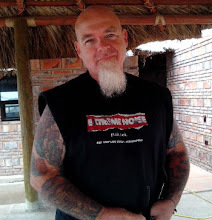 Jones was at the Rosarito Beach Hotel to celebrate his birthday with friends and in conjunction with work on his documentary film about the resurgence of Baja, which features Tijuana’s Baby Rock nightclub. Jones produced “You Don’t Know Jack,” starring Al Pacino as Dr. Jack Kervorkian, and is making a film about automaker John DeLorean with Colin Firth. “We live 125 miles away (in Los Angeles), and Mexico is like an adjacent state,” Jones said. “Yet in the last few years I have watched, disheartened as she has become a place of dubious reputation, and that saddens my heart. “Reality is that the media hype from emanating neighboring towns has tainted the world’s opinion of this resort area. “There are numerous cities in the US that are far more dangerous than these resort areas of Baja,” he said. “Now is the time for Americans to vacation and party and enjoy our southern neighbor more than ever,” Jones said. Hotel Marketing Director Daniel Torres, who served as translator, added that the Baja tourism industry must bring back more U.S. visitors, who once were up to 90 percent of the market. Responding to media questions, Jones said that Baja --- Titanic and Master & Commander were filmed at Fox Studios in Rosarito --- was an excellent locale for film production. He said offering generous incentives to filmmakers would help speed the process and mentioned as an example the U.S. state of Michigan, where filmmakers received production rebates up to 42 percent. Cliff and Sue of Restaurant Los Arcos will be hosting a benefit brunch for the Desert Mothers. Cost of the brunch will be $10.00 per person. 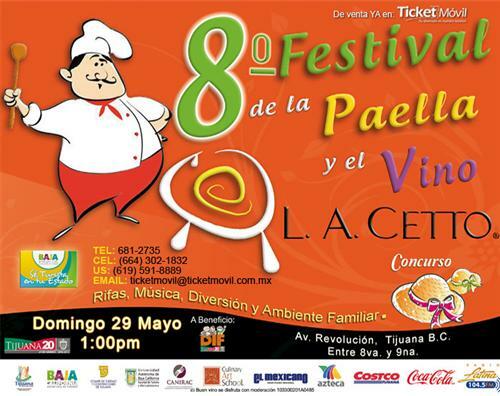 Tickets will be sold at various sites including Restaurant Los Arcos. There will be entertainment, raffles, and lots of good company. Please come and support the Desert Mothers. 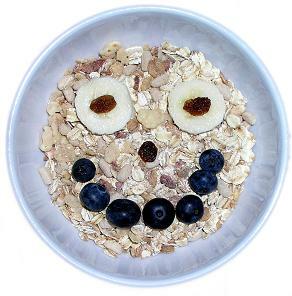 Menu Assorted Fruit, Orange Juice & Coffee, Bacon, Sausage and Ham, Potatoes O’brian, Biscuits & Gravy, Stuffed French Toast, Egg Souffle, Eggs Benedict, Lox & Bagels. More info contact Donna -bajadonna@gmail.com. 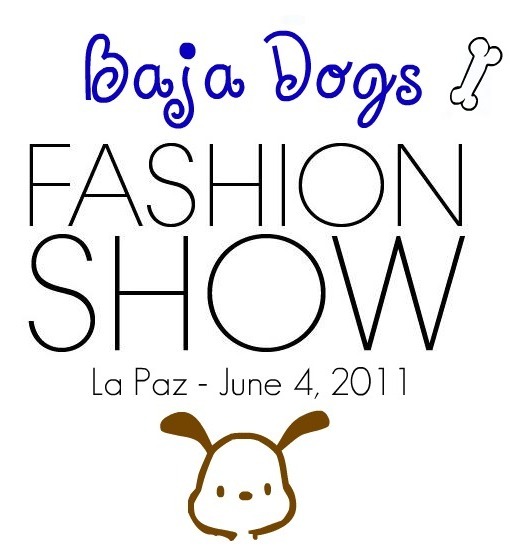 Baja dogs is holding a Luncheon/Fashion Show on Saturday, June 4TH from 1pm to 4pm Come and see the newest fashions and enjoy a fantastic buffet luncheon at Palermos Restaurant. 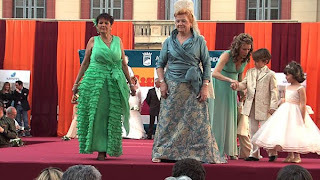 Fashions will be a variety of outfits including bathing suits, cover-ups and jewelry. There will also be a silent auction. Tickets are only $250 pesos and can be purchased from Baja Dog volunteers by emailing info@bajadogslapaz.org or by contacting Azereth at Palermos - banquetespalermos@hotmail.com. ENSENADA .- Sunday May 22, 2011 .- Authorities of the three levels of Government working in close coordination and collaboration with organizers and Ensenada's tourist industry for the next realization of world-renowned off-road race Baja 500, which held from 2 to 5 June, reported the above, the Secretary of State Tourism Juan Tintos Funcke. The state official said one of the strengths and one of the main reasons for coming to this institution and foreign tourists is the calendar of tourist events in Baja California, which this year reached 300, among which sports , food festivals and related to the wine industry, among others. He stated that all municipalities in the state is precisely Ensenada which makes the greatest number of events and that so far this year has been very important events and have projected the name of education at the national and international, "but Moreover, these events serve as a testimonial when people return to their places of origin and take a good look and feel of Ensenada and Baja California, "he said. Some of the events that have been successfully performed in the state have been the Baja 250 race, the New Port Beach Regatta - Ensenada and traditional Rosarito-Ensenada bike ride, as well as gastronomic and artistic events, many of these related to the Route Wine. 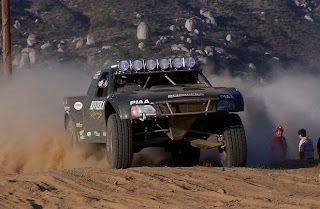 In the case of San Felipe 250 race, the owner of the SECTURE indicated that it has been working in coordination with the Municipality of Ensenada, Protura and Tourism Public Trust to provide all the necessary conditions for the realization of the edition number 43 of the Baja 500 race, which this year is expected participation of 250 teams from 25 states of the United States and several countries, among which include Canada, Germany, Guatemala, Japan and of course Mexico. Also for this event, participating in the pilots of "Off Road" highlights in the world, each issue will be counted as an extraordinary media coverage of regional, national and international, including television, radio, newspapers and magazines . On the other hand, he said, because of this race is expected to improve hotel occupancy and economic flow in restaurants, gas stations and stores not only in teaching but along the route that runs from the port to Ojos Negros and then down to the desert and skirting the Sea of Cortez in San Felipe area, municipality of Mexicali, then rise again into the valley until the Trinity to reach the Pacific Ocean in the region of San Vicente, Santo Tomas and climb back the Port of Ensenada to the finish. Finally, the State Tourism Secretary said that in the coming days will be releasing more details of this event international court and acknowledged the work of coordination has been achieved between the various authorities and tourist servers to carry out this edition. After reading a few articles, written by persons who either are affiliated with Real Estate sales or are themselves salespersons leading the reader to beleive that what they write is the truth I decided to put the record straight so as to properly inform the reader about the following expressions. A) “.... a Real Estate agent or broker is the competant person to do a “Closing process” on a Real Estate property and that there is no need to hire a lawyer in Mexico.” 99% of the salespersons, who call themselves professionals but were never declared professionals in Mexico, are not competant in legal matters in Mexico, one has to be an expert in the complexity of the laws (Civil, Mercantil, Tax, agragrian, envionmental administative etc etc.,) so as to provide a secured document to a buyer by which he can have peace as an owner of either Real of Personal Rights and, in Mexico the only person who can formally draft the final document is a person who is called “Notario Publico” which is the equal to a Contract lawyer in the United States of America and Canada or is equivalent in the English legal system (Common Law) who is knowed as a Solicitor thus the statement must be declared not misleading but false. B) “...virtual closing..” which means that “closing” can be done by using a virtual system such as fax or the Internet. In many countries a fax and / or internet mail is recognized as documents as good as the original but in Mexico it is not, virtual signatures have not yet been recognised as valid by the government and by the Notarios Publicos as it was stated in an article written in the official Journal called “ESCRIBANO” published by the “Asocinacion National del Notariado Mexicano; A.C.(National Association of Mexican Notarios Publicos) thus anyone doing a closing, or any proceedure which requieres signatures, using this type of document transmission is putting at risk the buyer and the seller because, the rule is that all documents emitted in Mexico required by a “Notario Publico” must either be originals or Certified copies. Furthermore any foreign document and its anexed must be presented to the autority who can apose an “Apostille” or a Certification of validity by a Mexican Counsulate or Embassy. Any documents signed outside of Mexico must have a declaration and seal aposed by the autority that can certify that autencity of the signature (a notary in countries which have the Common law system or Comissaire à l´asermantation such as in Quebec, Canada) which certifies that the person who signed the document presented proof that he is who he says he is. The final step for foreing document is the translation, by a certified translator, in Spanish. In other words it is impossible to do virtual mutation of Real of Personal Rights on a Real Estat property in Mexico using virtual documents. C) “...Bank Trust...” In Common Law it is very well established that a Trust is not a contract. In Roman Law, which is the base of the legal system in Mexico, the document which will provide Personal Rights (Usus & Fructus) on a real estate property is a contract and in all the laws of the country the word trust does not appear...thus the expression is not legally valid and should not be used when describing to a potential buyer the document by which he will aquire Rights. D) “...Title insurance...” In Mexico a “TITULO” which is translated in the Oxford and other diccionaries as “TITLE” is only issued by a government authority (Federal, Municipal or State) and signed by the head of the govermental institution which emits it. Any document following the emission of the “TITULO” is called “Escritura” which can be translate as “Writing”. 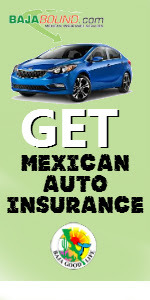 This been said, if one buys an insurance policy by which one will be compensated if one can prove that there is a defect in his Title one must have a Title; the problem is that in Mexico if one has the Mexican nationality one does not get a Title but a document which is called an “Escritura” and foreigners get a “Fideicomiso Traslativo de Dominio” contract (FTD contract), thus the need to carefully read the policy because if one goes to Court asking to be compensated by the insurance company in virtue of a “Title Insurance policy” one must indicate to the judge that in fact he has a Title otherwise the judge would have to reject the claim based on the fact that no Title could be exibided and one must remember that foreingers do not have real Rights “ownership” but only personal Rights (Usus & Fructus) over the property. In Mexico, as anywhere else one must protect himself against fraud and one must make sure there is no defects in the “Chain of Events” from the time the first document, which provided Rights to a person who acquired the Real Estate property up and until the last transaction. To achive this a full research of all the transactions must be done and the only persons who are competant to do this are people who studied law and are trained to find the defects in the registered documents at the Real Estate Property registry office which is called “Registro Publico de la Propiedad y Comercio” (Public Registry of real estate property and commerce) in Mexico. “Notarios Publicos”, (Contract lawyers), have the only obligation to verify at the Registro Publico de la Propiedad y Commercio who is the present owner at the time of the transaction THUS the need to have a seperate independant lawyer, who specializes in Real Estate investigation closing, to do a full research up and until prescription abolishes ones Rights so as to find out if there are one or various defects in previous transactions, that the Agragian law (Ley Agragria) requirement were respected and that there are no mistakes in each and everyone of the final document which were drafted previously. So as to make sure that the report is valid in case of any reclamation the person who did the research must sign a document which certifies that he did his job and garantees that there is no defects which could cause agrevations to the buyer. In conclusion, one can only be certain that he can rest in peace with either an “Escritura” or an FTD contract if one uses the services of a lawyer once the real estate salesperson did his job and awaits his commission. Miembro del Colegiado de Abogados en B.C.S. Member of Lawyer's college in B.C.S. 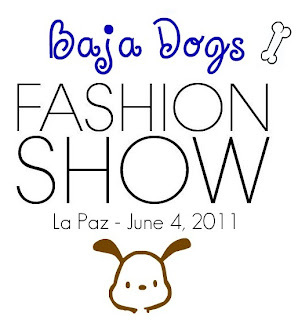 Saturday, June 4, fashion show and luncheon: This fundraiser for Baja Dogs and Centro Mujeres and is a buffet luncheon at Palermos Restaurant with a fashion show featuring a variety of outfits, including bathing suits, cover-ups and jewelry. There will also be a silent auction. LAS VEGAS, NEVADA .- Thursday May 5, 2011 .- An intense work tour to promote various destinations in Baja California was conducted by the city of Las Vegas, Nevada, attended by tourism servers, including representatives of Medical and health tourism as well as the State Tourism Secretariat (SECTURE), in close coordination with the Consulate of Mexico in the locality. First developed a meeting between Secretary of State Tourism Juan Tintos Funcke, with the Consul of Mexico, Mariano Lemus Gas, and subsequently initiate a series of interviews with various media both Hispanics and Anglos, among which were the weekly El Tiempo, Las Americas and El Mundo, and the television KLAS Channel 8 KSNV CBS and NBC Channel 3. Baja California delegation also went to the booths and ESPN Radio 101.9 "The Good" and the studios of Channel 15, Univision Las Vegas, where interviews were developed to promote attractions and upcoming events to be held in Baja California, in different destinations such as Tijuana, Playas de Rosarito, Ensenada, Tecate, Mexicali, San Felipe, San Quintin, and the towns of Bahia de Los Angeles and south of the state. The owner of the SECTURE explained that one of the issues that was positioned in these interviews was related to the excellent offer on medical tourism and health to the entity, so this tour was used to present and distribute the first copies of the Board (bilingual) Medical Services and Tourism of Baja California. It was also announced during this work tour the recent formation of the Committee of Image and Perception of Baja California, servers involving tourism, Americans living in the state, authorities of the United States Consulate General in Tijuana and the very SECTURE, which drew special attention in the media, particularly the representatives of the American television networks. Moreover, the tourism sector delegation met with the Association of Baja California, Las Vegas, who heads the graduate Lourdes Chavez, who have presented some of the progress recorded major projects for the promotion of tourism in Baja California and who also agreed to strengthen communication in order to perform various activities aimed at strengthening the promotion of this entity in Las Vegas. The owner of the SECTURE indicated that this work tour in Las Vegas is one of the strategies that have been carried out on instructions from the State Governor José Guadalupe Osuna Millán, in coordination with the state tourism industry, aimed primarily at Spanish tourism. In the afternoon, the state official participated in the opening of the restaurant "Hotel California", whose cuisine is based on the cuisine of Baja California, Baja California by renowned Chef Martín San Román.This restaurant opened its doors as of today in the exclusive Summerlin area of ​​Las Vegas and will be a place that will support the distribution of promotional material in our state. Finally, the Secretary of Tourism announced that the Baja California delegation consisted of representatives of the tourism sector of Mexicali, San Felipe, and Playas de Rosarito, and Medical Tourism Cluster Health and Mexicali. He also reported that before the end of this month will be conducting a promotional tour through Los Angeles, California, to publicize the offer of different destinations for long weekend of Memorial Day. 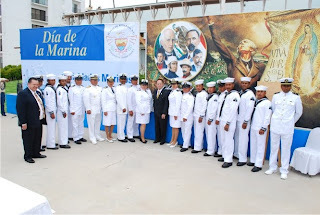 Los Cabos, Baja California Sur .- Military Naval Sector Authorities in Cabo San Lucas lead the first meeting for the organization and preparations for the celebration of the Navy on June 1, 2011. Admiral reported Felipe Solano Armenta, before attending as the delegate of Cabo San Lucas, Gabriel Larrea Santana, captain of Puerto, Jorge Luis Ochoa, the Education Coordinator, Eduardo Perez, representative of the Foundation Letty Coppel, Lucy Guevara, manager Administracian Portuaria Integral (API) Cesar Lira Reinosa and tourism service providers, ship owners who give their service for free to participate in this celebration. He made it clear that Admiral Solano Armenta will point out at 9 am so attendees must be at the pier no later than 8:40 am to avoid staying in port and not participate in the wreath that puts to sea in honor of the sailors killed in the line of duty. The official ceremony CXIV the Navy Memorial will be held at 8 am with honors, message of President Felipe Hinojosa, official discourse by Jorge Luis Ochoa, Captain of the Port, and delivery of awards, continuing 8:40 am wreath-shipment for returning to port at 10 am. 11am-7pm: A multicultural celebration at Plaza Ventana al Mar on the waterfront near the giant flag pole on Blvd. Costero (Lázaro Cárdenas), Ensenada. Enjoy music, dance, arts, ethnic foods and exhibits by nearly four dozen local community groups of various nationalities, historical and cultural societies, museums and the city’s founding families. Free admission. Info: Yukio Nishikawa, tel. (646)176-2763. MEXICO CITY – Mexican economic growth slowed sharply in the first three months of the year as factories downshifted on a weaker outlook for exports to the United States, data showed on Thursday. The slowdown was widely anticipated and economists don’t think it will derail growth of 4 percent or higher for the entire year. But it could help central bankers keep the country’s benchmark interest rate low at 4.5 percent to support the economy. Gross domestic product grew 0.5 percent from the previous quarter, the national statistics agency said, less than half the fourth-quarter rate. The growth rate during the fourth quarter was revised lower to 1.1 percent. “This is a signal that the central bank should be in no hurry to raise interest rates,” Santander economist Rafael Camarena said. Mexico is limping back from a deep economic downturn even as regional peers like Brazil and Chile roar ahead. The central bank said this month the economy could grow as much as 5 percent this year, although a summary of its most recent policy review showed policymakers divided about how much the recovery will fuel inflation. Investors are betting the central bank will raise interest rates in December. Yields on 9-month interest-rate swaps were unchanged from before the data’s release, suggesting investors had not altered their bets on the direction of policy. The data showed the economy expanding 4.6 percent in the first quarter from a year earlier. Analysts polled by Reuters had expected an increase of 0.5 percent from the previous quarter and 4.95 percent from a year earlier. Unemployment remains above pre-recession levels, keeping consumers and the service sector weak, and credit is just starting to expand. The service sector expanded 0.9 percent in the first quarter – a slowdown from the 1.2 percent rate clocked in the fourth quarter. That has left Mexico dependent on demand from the United States, whose economic outlook has grown darker in recent months as higher gasoline prices hurt consumers. Mexican industrial output fell in two of three months during the quarter. Economists at BBVA Bancomer said the slowdown was much more notable in export-oriented industries such as electronics. Mexico sends about 80 percent of its exports to the United States, where growth also slowed sharply during the first quarter. Some Mexican companies are feeling the pinch. Grupo Simec, which makes steel products used in appliances and cars, said this month its first-quarter profits fell 9 percent from a year earlier on lower sales volumes and high prices for raw materials. At the same time, economists remain upbeat about growth prospects this year. Mexican factories are competing better against rivals in China where workers are demanding bigger pay hikes. About six in 10 executives see Mexico as the best place to build a factory that would sell goods to the United States, according to a poll released last month by consultancy AlixPartners. However, the poll also highlighted one of the Mexican economy’s chief risks: violence between drug cartels that threatens a collapse of law and order along its northern border. One in five executives said their operations have been disrupted by security issues. On Thursday, President Felipe Calderón denied that violence and criminal acts have affected tourism in Mexico and assured that visiting Mexico is safe. “I have seen thousands of spring breakers having fun in our country … to my understanding, the only shots they received were tequila shots,” he said. At the Global Summit of Travel and Tourism in Las Vegas, journalist Peter Greenberg, a specialist in tourism, interviewed President Calderón. Calderón stated that the number of problems related to violence and foreign tourists can be counted on one hand. “Serious crimes are not affecting tourists. It is true that people are afraid; yet, we have received more than 3 million international visitors to Mexico this year,” he added. President Calderón said that Mexico has a lower homicide rate than some U.S. states such as Washington D.C., Mississippi and Louisiana. He also reported that last year tourism grew by 6 percent, and 10 percent came from the U.S.
President Calderón said that he respects the Second Constitutional Amendment of the United States that allows the sale of weapons. Nevertheless, he also said that not all guns end up in the hands of good U.S. citizens. “Eighty five percent of the 100,000 guns seized from criminals in Mexico were bought in the United States,” he added. After the interview, the World Travel and Tourism Council awarded Calderón for making Mexico the first country whose head of state signed the Golden Book of the World Tourism Organization. “One of the main objectives of this summit is to provide opportunities for the Mexican tourist industry,” he said. Accompanied by his wife Margarita Zavala, President Calderón said that Mexico ranks 10th among the most visited countries in the world, and that he hopes Mexico will rank 5th by 2020. “We are investing 50 billion pesos in infrastructure every year, to build and upgrade highways, seaports and airports. That way we will increase the country’s competitiveness and provide better transportation,” he said. 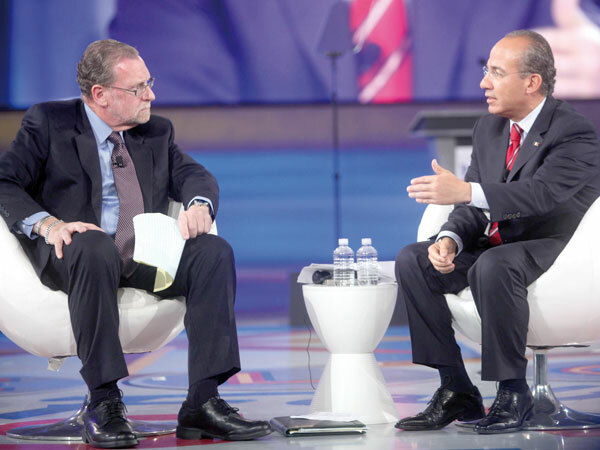 Speaking to representatives of global business and the tourism industry, Calderón said that Mexico is the best place to invest in and that the federal government is doing everything it can to help investors. 110 artists involved in this amazing exposition. Many of them well-known talents have extensive careers and are considered among greats Masters of northern Mexico. Among those are Juan Angel Castillo, Miguel Nájera, Ruth Hernandez, Franco Mendez Calvillo, Angel ValRa, Carlos Coronado, Manuel Varrona, Francisco Chávez Corrujedo, Robert Kidd, Scott Kennedy, etc. Click here to see more!. In addition, there will be a farmer's market with organic products, along with crafts and jewelry, food, booths representing tourism activities and attractions. 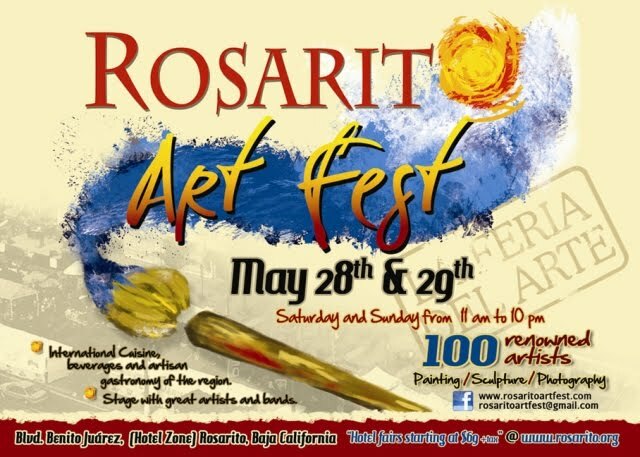 Rosarito Art Fest promises to reflect the energy, culture, talent, knowledge, and excitement of Baja artists. Come and spend an hour, an afternoon, or a day. Or if you prefer, come for the entire two days. Check out the special hotel rates for those attending the event. Hotels info. There's a lot to see and and do. Participation from your side will definitely add color to this event and at the same time help us show people the best of Baja - the arts, the delicious foods, the fantastic music, and the friendliness of our town. We welcome one and all! San Felipe - Big Hat Day! This is a good ol' Weekend BBQ - family fun for all! Don't miss this Unforgettable Sunday - May 29, 2001 at the SECRET locations "Cantu Cove" Arrive at 10am for Fun in the sun unitl 6pm. We will have covered specators areas and...CASH AND PRIZES! Big Hat competition - Come a show off you biggest best hat! Enjoy Arts & Craft Exhibitor booths and of course BBQ & COLD beverages. 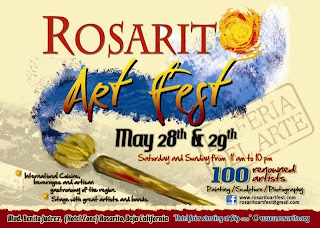 Buy Raffle tickets and win a weekend on Rosarito Beach and many other Prizes! 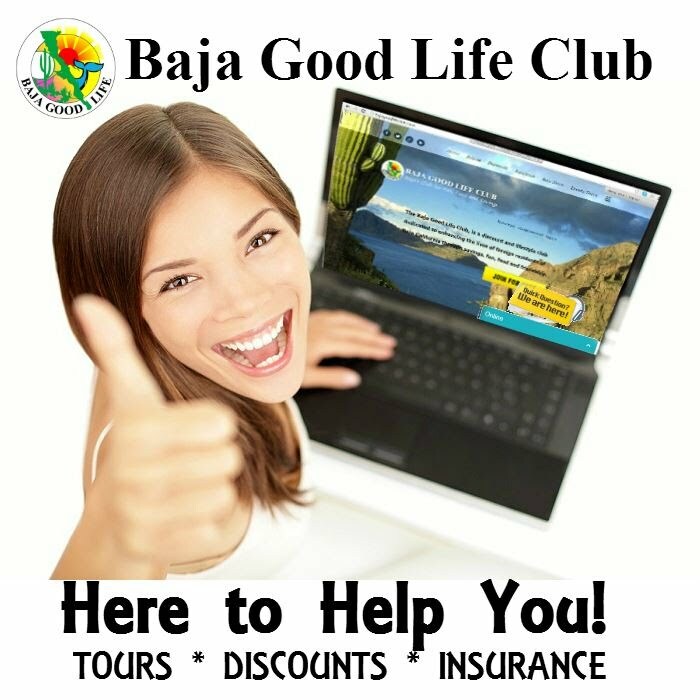 More info call 686-230-9933 or 619-550-2730 or email bajagoodlifeclub@gmail.com. This is a fundraiser for Casa de Fe Orphanage. 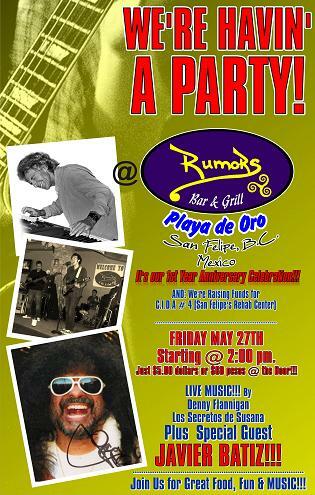 SAN FELIPE - Rumor Bar & Grill 1st Year Anniversary! Just $5.00 dlls or 60 Pesos @ the Door! Music by Denny Flannigan, Los Secretos de Susana PLUS Special Guest Javier Batiz!!! Join us for Great Food, Fun & Music as we Party Like it Is True!!! Raising Funds for C.I.D.A. 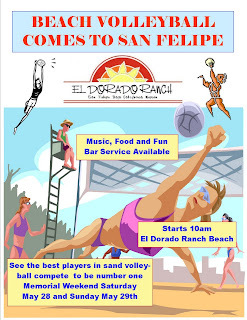 # 4 (San Felipe's Rehab Center. President Felipe Calderón said Tuesday that Mexico is doing its best to counter the effects of climate change in the world. He also said that he hopes countries like the United States do their part, as well. At the inauguration ceremony of the Energy Cogeneration Plant of the Tres Valles Sugar Refinery, he said that Mexico is the first developing nation to be aware of the climate-change situation, in spite of the high levels of poverty. Accompanied by the Secretary of Energy, José Antonio Meade, and the Secretary of Agriculture, Francisco Mayorga Castañeda, the President pointed out that Mexico is a country capable of taking care of the planet and combating poverty at the same time. He said that the federal government has implemented a program that replaces old electrical appliances for new ones, especially refrigerators and air conditioners. “This program will help those families who really need our support and at the same time decrease the carbon footprint of these families. You see, we can kill two birds with one stone,” he said. President Calderón noted that the program has given families more than one million refrigerators. “For instance, an old fridge uses three to ten more times the amount of energy than modern appliances. To my administration, it was logical to replace these refrigerators to reduce, not only the families’ carbon footprint, but that of the country as well,” the President added. He said that pollution and climate change can cross borders. “These are international problems. Political borders won’t stop them. Climate change and pollution have the same effects all over the world. 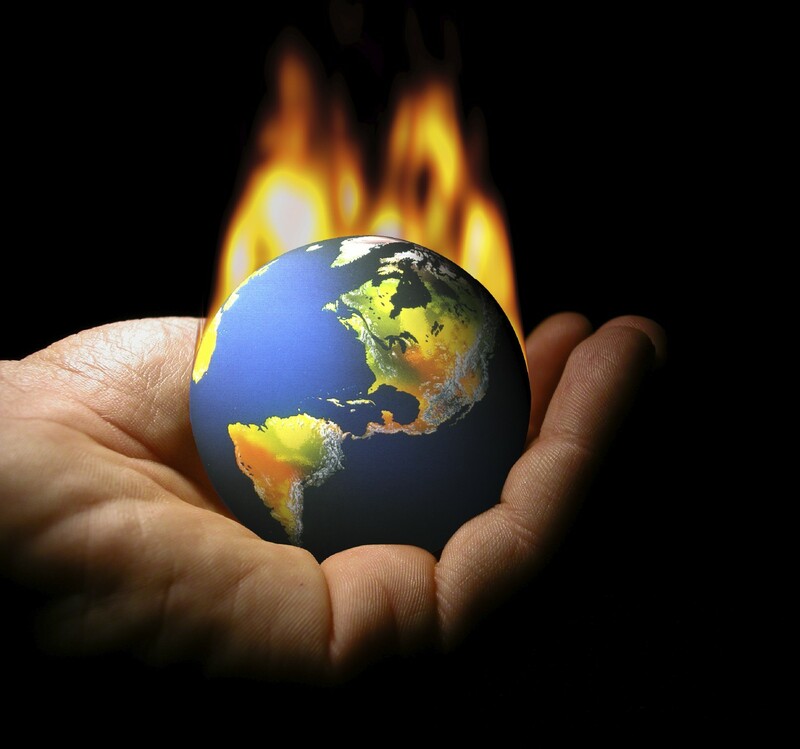 The temperature of our oceans is increasing and our atmosphere has been severely damaged. If countries start emitting less greenhouse effect gases, maybe, just maybe, the problem will not be as bad for future generations,” he concluded. Celebration of the XVIII Fishing Tournament of Jurel on May 28th & 29th. 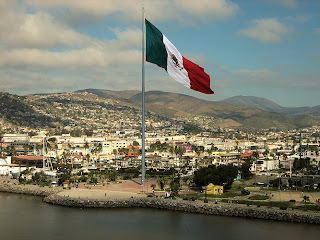 TIJUANA.- Monday May 16 2011 – With an invitation to visit Bahia de Los Angeles and enjoy one of the most beautiful Bays in the world for its unique scenic and natural beauty. Monday May 16th was announced the date for the Traditional Jurel “Guillermos” Fishing Tournament, on its 18th edition, this upcoming 28th & 29th of May. During press conference, the Sub-delegate of the State Secretary of Tourism (SECTURE) in San Quintin, Ramón Villavicencio Aguilar, accompanied by Lucy Galvan, tourism servant of Bahia de Los Angeles, said that there are many and various attractions that the south of Ensenada counts with. He explained that in that sense SECTURE has implemented in coordination with tourism officials a series of actions with the objective of strengthening the promotion of this region, “we count with protected natural areas like Valle de los Cirios and Islas de Bahia de Los Angeles, as well as historic sites like Misiones de San Borja and Santa Gertrudis, paintings and other unique attractions that make a priceless heritage”, he mentioned. The state official said that in terms of accessibility improvements have been made on the Peninsular highway, while the road leading from the parador Punta Prieta to Bahia de Los Angeles is in optimal conditions, allowing travel between 8 and 9 hours from the city of Tijuana. Other attractions in Bahia de Los Angeles are related to the sea such as whale watching while taking a tour of the islands which are under guard of the National Commission of Protected Natural Air (CONAMP), such as birds, marine mammals and the giant whale shark, without leaving aside Sport fishing, since the area is considered one of the richest in species for doing this activity. On her behalf, Lucy Galvan reported that the Jurel fishing tournament or “yellowtail” will have the participation of fishermen from Baja California and southern California. 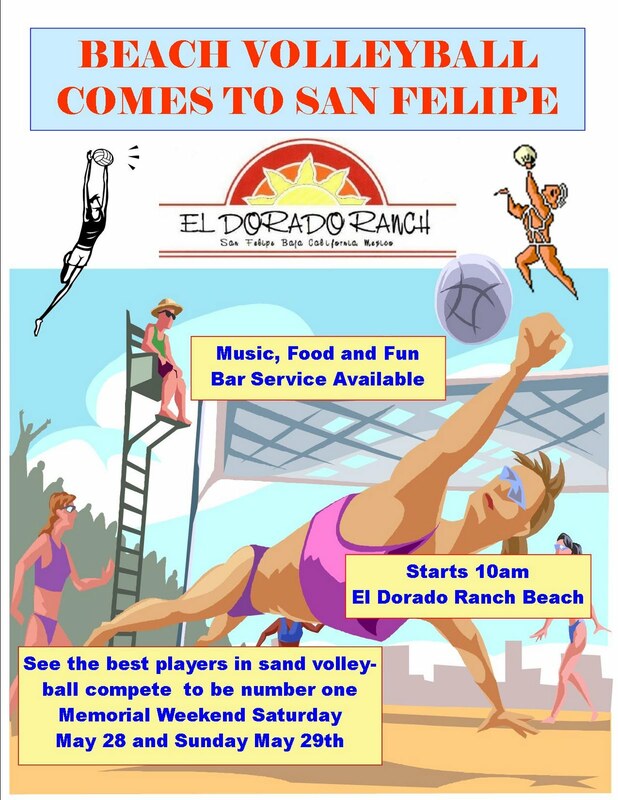 The registration fee is $ 50 and there will be a bag of attractive prizes and trophies for the winners. 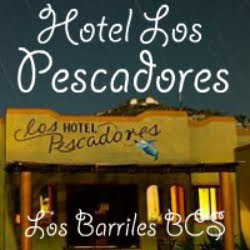 He also recalled that Bahia de Los Angeles offers a wide range of accommodations which consists of seven hotels with affordable prices and campsites, and also counts with fishing boat rental services for fishers who don’t have a way of bringing their own boat. A baby sea lion hops on a sea turtle's back for a ride in the Galápagos Islands. 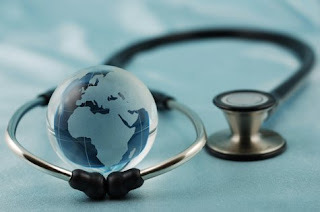 The Secretary of Health, José Ángel Córdova, said Tuesday that Mexico will achieve universal health coverage before the United States because the government of President Felipe Calderón Hinojosa has made a commitment to the population to achieve it before the end of 2011. “We are pretty close to making universal health coverage a reality in Mexico. By the end of this year, 29 or 30 states in the country will be covered by this program,” he said. On the occasion of the Sixty-third World Health Assembly (WHA) being held in Geneva, Switzerland, Córdova said that one of the breakthroughs Mexico has experienced in the past few years regarding health matters is the treatment of cancer in children below the age of 18. He noted that beforehand, 7 out of 10 children would die from the disease. “However, we have turned the table. Now, 7 out of 10 children with cancer survive,” he added. Córdova pointed out that Mexico has also had other breakthroughs in health matters. He said that the federal government has implemented a tobacco-control policy, which consists of printing shocking images of tobacco-related diseases on cigarette packs to discourage people from smoking. “We have also implemented other policies to counter the overweight and obesity problems in the country. The federal government created the ‘National Agreement for Food Health’ and the ‘5 Steps for Your Health program,’” Córdova noted. “We also created the “National Chronic Diseases Council,” which deals with several severe diseases that affect the Mexican population. Reporting from The Associated Press. 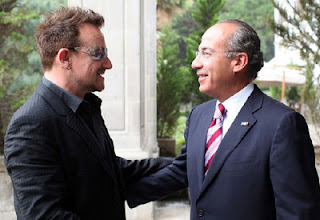 U2's Bono has met with President Felipe Calderón and the two discussed the drug violence and poverty affecting Mexico. Bono is in Mexico in the final leg of the Irish rock band's 360 Tour. Mexico's president thanked the lead singer of U2 for sending a message to victims of drug violence during his performance Wednesday. According to the group's website, Bono dedicated a song "to all those who have lost their loved ones in the violence that is happening in this country." "Mexico needs to know you are not alone and we are with you," he added. "You are not alone in the darkness. Let’s make each light brighter." Bono visited the presidential residence Los Pinos on Thursday. The politically active Bono has been known to meet with world leaders. A presidential statement said Calderón and Bono also discussed global warming and Mexico's opportunities as the host of the G-20 reunion in 2012. Calderón congratulated Bono for his 51st birthday on Tuesday, which had been televised after Bono shared champagne with fans and members of the the press scrum outside a local restaurant. Can't beat the Rosarito Beach Hotel's two night Memorial Day weekend Package. SAN FELIPE, BC .- As part of its preparation for military pilots, a group of instructors and cadets of the Naval School of Aviation, flew over and visited the city and port.Cadets and instructors arrived from La Paz, Baja California Sur, the seat of your school. This generation of students XXXVI of the Naval Aviation School Secretary of the Navy of Mexico based in La Paz, Baja California Sur, flew over and visited the port of San Felipe, on field trip during the last phase of the current course of naval pilots Therefore piolotos airmen arrived four captains and 13 of that school students who have just started preparing the first of May 2010 and ending on July 1. It was reported that the School of Naval Aviation, pilots prepared as officers of the General and Marine graduates of the Heroic Naval Military School and its mission, to train naval pilots with expertise in the technical and tactical flight to be used in aircraft operations of the Navy of Mexico. The Symposium is hosted by the Ocean Foundation, in collaboration with a diverse collection of research institutions, government agencies and nonprofit organizations. Eco-Alianza is serving as a co-sponsor and the Loreto host nonprofit organization for the dates May 25-27 in Loreto. Our goal is to promote the exchange of information and collaboration, as well as produce concrete results for long-term conservation in the region. Below are links to the Eco-Alianza web page in Spanish and English for information and registration for the Mexico Conservation Science Symposium, Applying Science to the Conservation and management of Natural Resources on the Baja California peninsula and the Sea of Cortez. Before 2004 Mark S Zuckerberg was a nobody and happy about it. But now the attorney from Indianapolis is famous, in name at least, because of the other Mark Zuckerberg. That's Mark E Zuckerberg, billionaire founder of Facebook. The lawyer's friends may 'lol' about this on Facebook but Mr Zuckerberg wouldn't know after claiming to have had his account shut down by the company. Mr Zuckerberg, who specialises in Bankruptcy and foreclosure law, claims Facebook cited false identity as the reason for deleting his account. And it's not the first time he's had trouble with the social networking site. 'I was originally denied an account with Facebook two years ago because of my name,' Zuckerberg told Wish TV. Mr Zuckerberg has even found the need to set up a website called: I Am Mark Zuckerberg with his credentials and a list of differences between the pair. Other than the name and their Jewish upbringing the two have little in common. 'He was born in Dobbs Ferry, NY at about the same time that I was graduating from Indiana University,' he writes. He then adds that the Facebook founder has been immersed in technology almost since birth. 'I'm happy to be able to accomplish my electronic tasks without screaming,' he writes. 'I don't wish Mark E Zuckerberg any ill will at all. Mark E Zuckerberg, worth $13.5billion according to Forbes, take note. This is not the first case of mistaken identity by the social networking site. Just last month a certain Kate Middleton complained about having her account suspended. Far from being the new Duchess of Cambridge, Miss Middleton is actually a bicycle enthusiast based in Boston, Massachusetts. At least three others - an Australian woman and two British women - have had their accounts suspended while the site verified that they were in fact called Kate Middleton. A spokesman for Facebook explained that it bans users who open fake accounts. They added that some mistakes are inevitable as they try to keep the social network secure. 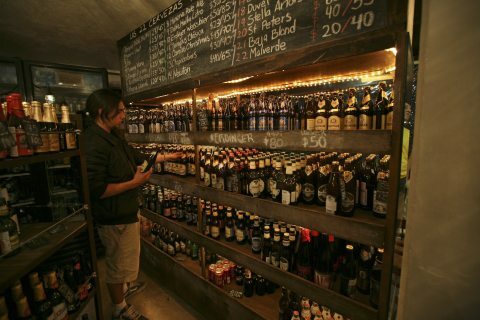 MEXICO CITY — MEXICO CITY (AP) - The craft brewers plotted their revolution in a bar evoking the era of Prohibition speakeasies. 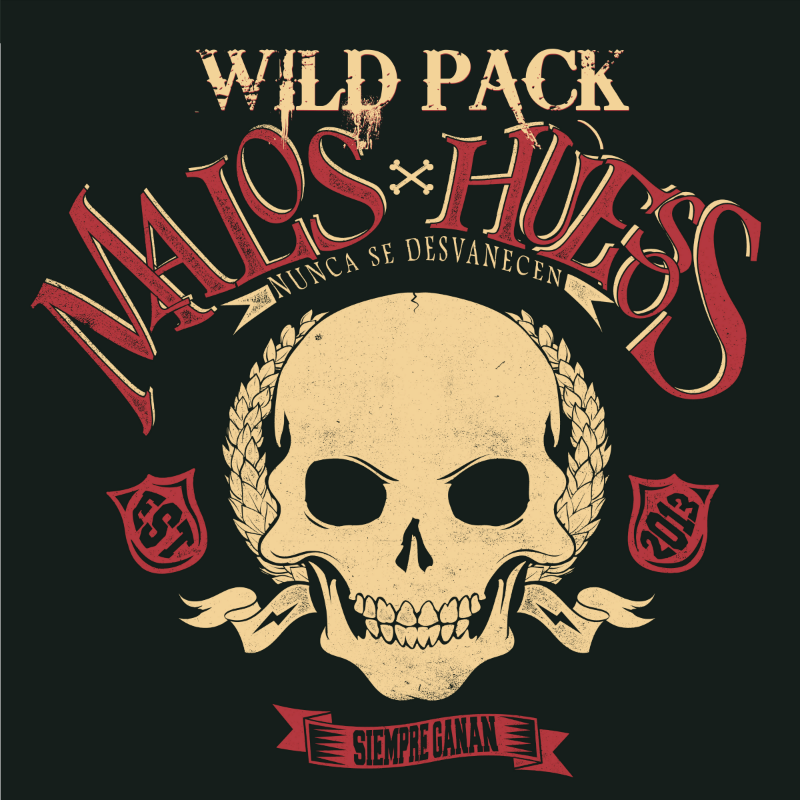 Their goal felt equally subversive: nothing less than the transformation of Mexico's beer-loving culture into one that thirsts not for the mild flavors of Corona or Dos Equis, but for the richness of stouts, the dark body of double malts and the bitterness of India pale ales. The brewers said they were fighting for choice: "Por la Cerveza Libre," or "For the Liberated Beer." "To choose what we consume based on our tastes, translates as free choice, a fundamental right of every person," they wrote in a manifesto. Even though Mexico is known worldwide for its beer, only two companies dominate the domestic market and determine what millions of people swig. Mexican craft brewers in the "Por la Cerveza Libre" movement hope to change that - one bar, one beer, one drink at a time. Over 1,000 beer enthusiasts have signed their manifesto online and in bars and restaurants, organizers say. First step in the revolution? Use social media to promote the establishments and stores that buck the trend by serving lesser known brews. Eventually, the group will award such places "For the Liberated Beer" certificates. The craft brewery movement in Mexico has been growing for only a few years now, inspired by microbreweries in the United States. But in that short time, Mexican brewers have launched one of Latin America's largest beer-tasting festivals in the country's second biggest city, Guadalajara, and opened a series of bars under the name El Deposito there as well as in Mexico City and Puerto Vallarta that double as stores to sell their creations. The "Por la Cerveza Libre" movement was hatched last year in one such El Deposito in a swank Mexico City neighborhood. The bar is designed to look like a clandestine liquor depot during the Prohibition era in the United States and is decorated with pictures of Al Capone and other gangsters of the period. The centerpiece is a piece of equipment made to look like an old distillery. El Deposito's exposed-brick walls could come straight out of Portland, Oregon, except for the Mexican twist in the brews: One alcohol-rich barleywine by Cerveceria Cucapa is aged in tequila barrels. And Cerveceria Minerva's Malverde, an American-style pilsner, is named for Jesus Malverde, "patron saint" to the country's drug traffickers. Drinkers pack the bar on Thursday and Friday nights, young professionals who arrive straight from work in 9-to-5 wardrobe to sample over 100 imported and Mexican brews. "I've encountered many brands that I didn't know before are made in Mexico," said Oscar Lopez, a 26-year-old website designer who frequently visits the bar. "The flavor is excellent." Jesus Briseno, 33, one of Mexico's craft-brewing pioneers, had a hand in opening the country's El Depositos and founded Cerveceria Minerva seven years ago in Guadalajara. He opened the brewery, he said, after he took a semester off from college to study at the Siebel Institute of Technology and World Brewing Academy in Chicago. Inspired by the explosion of beer culture around U.S. microbreweries, he returned to Mexico with the dream of starting his own craft beer business. "I thought exactly the same thing was going to happen in Mexico," he said. "I thought there was going to be more culture growing around the beer." Such hopes turned out to be premature. Mexican craft brewing is now at the point their U.S. counterparts were in the early 1980s: basically zero. The country's microbreweries, numbering more than a dozen, account for less than 1 percent of Mexico's beer market. In the United States, craft beers account for about 5 percent of the volume of beer sold, and 1,600 brewers operate all over the country. Multinational giant Anheuser-Busch InBev enjoys a nearly 49 percent share of the U.S. beer market, while MillerCoors LLC, a joint venture of SABMiller PLC and Molson Coors Brewing Co., is number two, with about 30 percent of U.S. market share. Mexico's top brewers, Grupo Modelo and Heineken's Cerveceria Cuauhtemoc Moctezuma, produce Corona, Dos Equis, Tecate and dozens of other mainstream brands, all of them either bright pilsners or darker Vienna-style lagers. There's hardly a nightclub or restaurant in Mexico that doesn't serve one of their brews. And while some American beachgoers still find those beers exotic, to connoisseurs they're the Coors and Budweisers of Mexico. Miguel Fimbres, who blogs about beer and wine in Mexicali, said most big brewers in Mexico produce products with generic flavors that slate thirst and nothing more. "Artisanal (brewers) produce a whole spectrum of tastes, aromas and textures that the big brewers don't offer," he said in a recent online chat. Grupo Modelo and Cerveceria Cuauhtemoc Moctezuma said they embrace competition in the Mexican beer market. "The Mexican market is an open market and, as in many countries, artisanal beers are niche beers that have experienced good growth in the last few years," Grupo Modelo said in a statement to The Associated Press. Cuauhtemoc Moctezuma said in its own statement that the domestic beer market was "dynamic, constantly evolving and adapting to new trends." "The existence of a free market in which consumers have a wider range of choices is essential for our business," the company said. Grupo Modelo and Cuauhtemoc Moctezuma go back generations, starting from industrialist families in the 19th and 20th centuries; today they are transnational giants. Grupo Modelo is half owned by Belgium-based Anheuser-Busch InBev, makers of Budweiser, and commands more than a 60 percent market share. Dutch brewer Heineken bought Cuauhtemoc Moctezuma from its Mexican parent company in 2010. Vertically consolidated conglomerates, they each own dozens of subsidiary distributors, bottlers and malt producers. Competitors have long accused the companies of engaging in monopolistic practices. In 2006, the federal government's competition watchdog found Grupo Modelo had engaged in antitrust activity by entering into exclusive rights agreements with sites selling its bottled beers. The company successfully appealed the decision. Authors of a 2009 World Bank report found that because of legal tactics favored by big companies in Mexico, "the regulatory system is not a credible, independent threat to the behavior of large business interests." The report specifically cited Grupo Modelo as an example. Mexican lawmakers approved changes on April 28 aimed at strengthening the country's antitrust law. Ivan Franco, an economist with Euromonitor International, said the sheer size and longevity of Mexico's two giant beer producers make it unlikely that small brewers could compete any time soon. "There is a high level of technology and economies of scale they need to attain first," Franco said. What is more important, the big brewers have vast distribution networks, he said. Craft brewers' best hope might involve turning to another giant - Walmart de Mexico, which has been adopting new suppliers every year and isn't beholden to longtime relationships with the big brewers. "Walmart could be the key to expansion," he said. "More than the bars and cantinas and restaurants." Such challenges haven't stopped craft brewers such as Andres Cruz, 25, and his siblings, who have dedicated themselves to their work with the devotion of true believers. The Cruz family started out brewing beer for relatives and friends, then decided to form a business. Calling themselves Cerveceria Publica Condesa, they debuted their brewery in 2009 with a brown ale named after Edgar Allen Poe. When they tried to get their beers into bars and restaurants, they said they were turned away or asked to pay money up front to sponsor the establishments in exchange for carrying their product. Now, the Cruz family plans to bypass that network by opening a brewery and bar in Mexico City and selling their beer directly to fans. "Beer is the most democratic drink that there is," Cruz said. "It's accessible in every sense, in taste and price."